I know, I have been missing in action lately, but work has been super crazy and the sweaty weather is not helping either. But today I am back on the blog and I have a very valid reason for it. 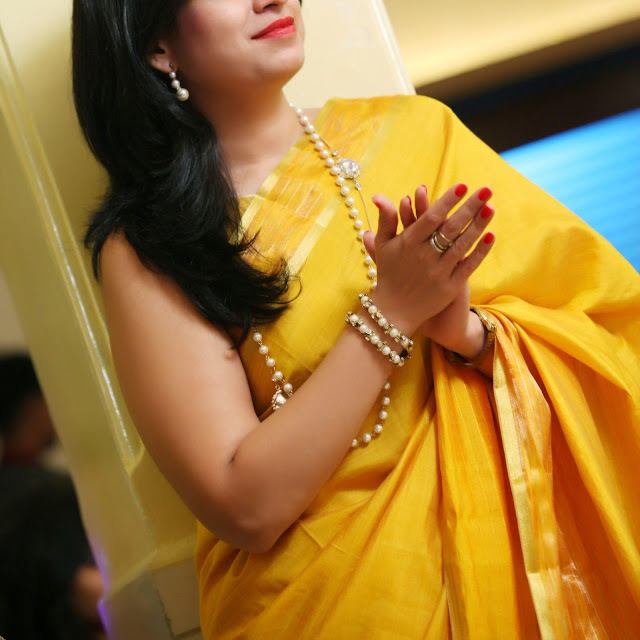 So-Saree has always strived to introduce some of the best and genuine brands to its readers and today I am writing about one of the best brands I have discovered till date through my blog. Vintage Desi... one look at their website and I was convinced that there couldn't have been a better name for this brand. If you love all things Desi with a vintage feel to it, I bet you will fall in love with this brand. Vintage Desi is an online boutique that houses some of the best and selective designer pieces and makes it available to it's customers at a bargain prize. That' because Vintage Desi negotiates with the best of designers to get huge discounts and bargains and offers the selected designer pieces at the best possible market prize. I was amazed at the kind of collection on their website. From kids wear, women's wear and jewellery. They have it all. Their women's wear designer brands include Anjalee & Arjun Kapoor, Ranna Gill, Rohit Gandhi & Rahul Khanna, Gauri & Nainika, etc just to name a few. But I was also pleasantly surprised and mighty impressed by the collection of local designers like Anisha Shetty, Karishma Trehan and Dami. Their jewellery collection is something I just can't seem to get enough of. But Shillpa Purii's Designs just stole my heart. And I couldn't stop myself from buying some of her designs. Another significant feature of Vintage Desi is being able to resell your gently used designer clothes. This will not only free your closet space but also earn you some hard cash. All you have to do is fill up a simple form and send a couple of pictures of your clothes to Vintage Desi. The Vintage Desi team after thorough inspection and review will accept the goods from you. This ensures that the pre-owned outfits that you buy from Vintage Desi are of good quality and make. Now you need not repeat the same outfit at every wedding, because Vintage Desi has an answer to all your style worries at a fraction of the price you would normally spend. and your pics are superb. You look so pretty. Love the entire outfit and the neckpiece is super awesome. the collection looks very elegant, n I wanna see full pics in ur yellow sari. Sundar ,Beautiful You !! the jewellery is perfect with your saree....Loving the bracelet and bangles....Will check this brand out! 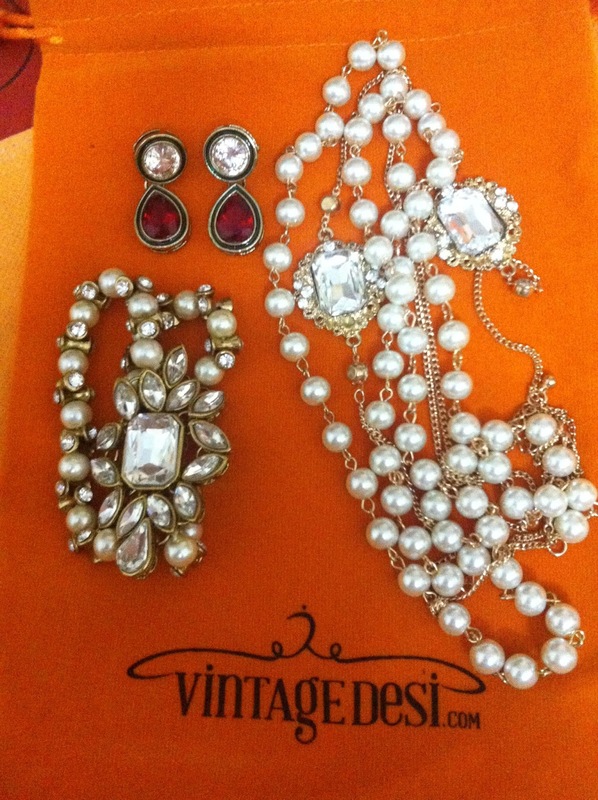 Like all the Vintage Jewellery collection, the necklace set is awesome. The collection of this jewellary was very nice. 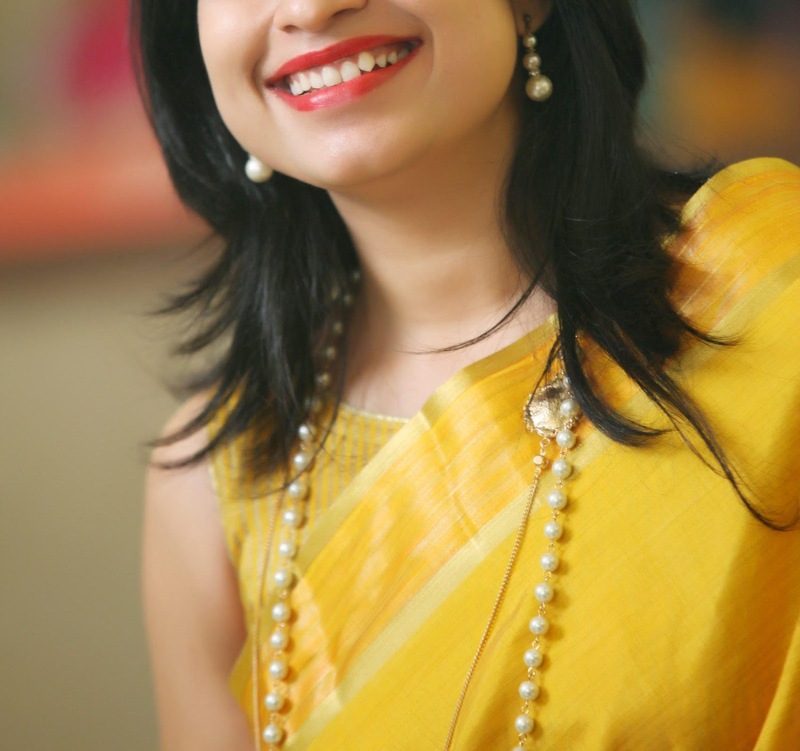 There should be something for printed saree online on you blog.